I only recently discovered Cassia Leo and read the first three books in this series. I was very lucky in that I didn’t have to wait too long for this book to be released. I wasn’t sure whether or not I was going to like Tristan as he came across as a bit a an idiot in the previous books. However you can’t really judge someone until you know them. Well that was all solved in Abandon. What a treat it was to live inside Tristans head for a while. He has such a laid back approach to things, yet he has this vulnerability about him. Yes I did say vulnerability. Who knew? I was actually only at 8% when Abandon had it’s first impact on me. I had tears in my eyes, was sick to my stomach and had fury in my heart. Not bad for a book I had only started reading. I shot of a tweet to Cassia Leo, told her where I was in the book and told her I felt sick, she replied that it had made her sick too. I confess, I laughed at this – she wrote the thing lol. Anyway I know it is only February but I already know that this book will make it on to my best reads of 2014. Just let me tell you this, be prepared to glue yourself to this book. I bought it at about 8.45pm. I had just finished reading All the Pretty Poses by M.Leighton. I was just setting myself up for the next days reading and not being well, I was heading off to bed. Then I thought, Ah it’s a bit early – I will just read the first couple of chapters. Oh boy! 2.10am people, that’s when I put it down. Not until I saw the words The End was I able to turn off my kindle and go to sleep. When you have a 5.30 alarm it’s not the wisest thing. BUT this book. This book is so damn good – you will not put it down. Forget everything you think you know, Abandon changes all the rules! 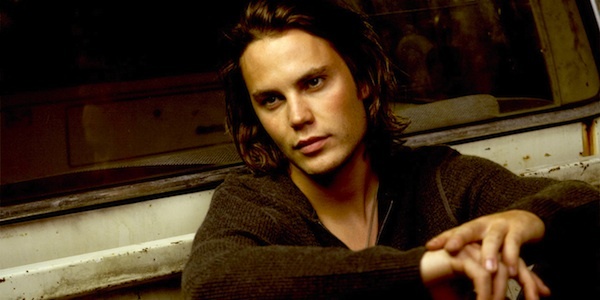 Oh yea and when you have Taylor Kitsch as you book boyfriend visual, well that’s just the cherry on top, right?